You will need Android Studio 3+, Node and npm installed on your machine. A basic knowledge of Android development, and familiarity with Android Studio, is required. We are definitely in the era of realtime everything. We demand that all our tools and apps we use daily should be able to update in realtime. With a lot of realtime applications springing up, the football scene is not an exception. You see popular soccer reporting bodies adopting this strategy. Android Studio (>= v3.0) installed on your machine. Download here. A basic knowledge of Android development and an ability to use Android Studio. A basic knowledge of Kotlin programming language. See the official docs. Node.js and NPM installed on your machine. Check here for the latest releases. 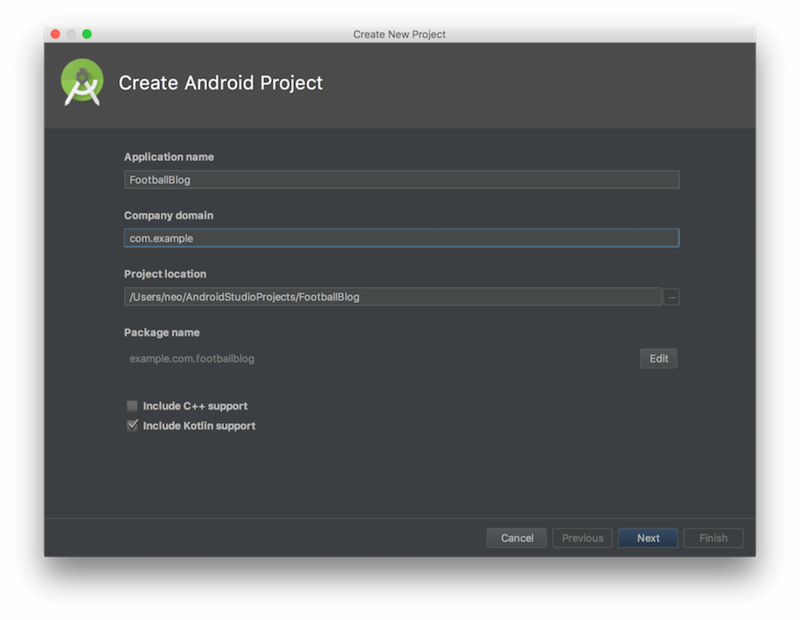 To get started, open Android Studio and create a new basic activity project. Android Studio provides a wizard for this to guide you. While creating your app, be sure to enable Kotlin support since that is what you will use. Select Phone and Tablet using API 19: Android 4.4 (Kitkat). Select the EmptyActivity template and create the project. After this process is complete, you should have an activity named MainActivity and its layout activity_main.xml. When you get to the console, click the Add project card to initialize the app creation wizard. Add the name of the project, for example, soccer-blog. Read and accept the terms of conditions. After this, you will be directed to the project overview screen. Choose the Add Firebase to your Android app option. The next screen will require the package name of your app. An easy way to get the package name of your app is from your AndroidManifest.xml file. Check the <manifest> tag and copy the value of the package attribute. Another place you can find this is your app-module build.gradle file. Look out for the applicationId value. When you enter the package name and click Register app. Next download your google-services.json file. After you have downloaded the file, you can skip the rest of the process. Add the downloaded file to the app folder of your app - name-of-project/app. Next, log in to the new Pusher dashboard, in here we will create a Pusher Beams instance. You should sign up if you don’t have an account yet. 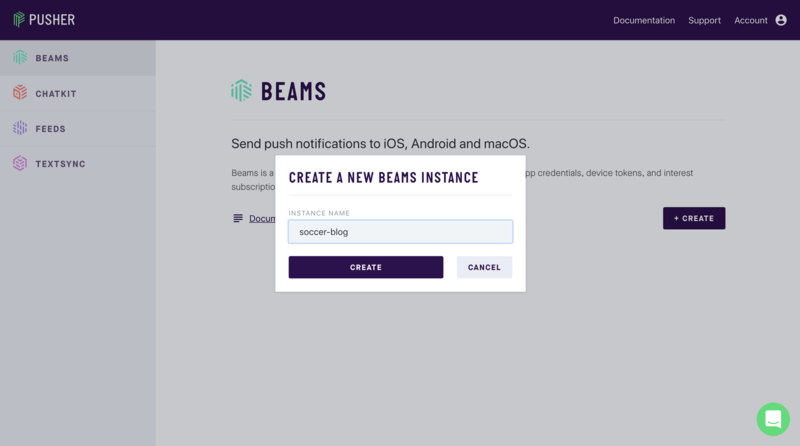 Click on the Beams button on the sidebar then click Create, this will launch a pop up to Create a new Beams instance. Name it soccer-blog. Your app is expected to display a list of posts in realtime and this means you will need a list. Each list row will contain the time of action and current action happening. Since you can’t use the default Android layouts meant for lists as it doesn’t have what you require in the customized fashion you want it, we have to create a custom list row layout. This layout will determine how each item in the list will look like. A CardView is here used for easy customization of the borders. The CardView contains a horizontal linear layout, which in turn contains two TextViews. The first TextView will show the minute during the match when an event is happening and the second one will show the event happening. This class contains the usual RecyclerView.Adapter methods. There are two custom functions created here, addItem to add a new blog post item to the top of the list and bind inside the ViewHolder class to make binding easier. This class implements the MessagingService abstract class. This mandates the implementation of the method onMessageReceived, which is called when a message is pushed remotely. 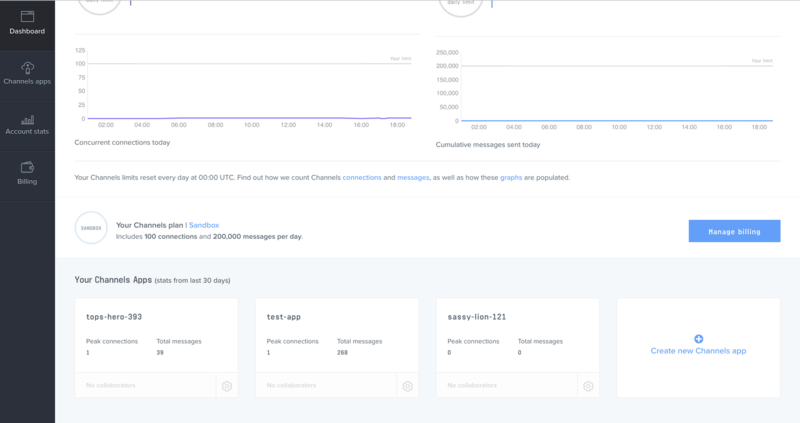 From the snippet, when a message is received, a notification is prepared and sent to the user. Note that if the user is on the app already, this notification will not come up. API versions 26 and above require creating notification channels and that is exactly what is done above. The title and body of the notification are inline with what is received remotely. An intent is added so that the MainActivity will be opened when the notification is selected. You are expected to replace the PUSHER_BEAMS_INSTANCEID with your instance ID found on your Pusher Beams dashboard. In the above snippet, the pusher and blogListAdapter instance are first declared. In the onCreate method, push notifications is initialized and you are particularly listening to the world-cup stream for updates. In the above snippet, there is a listener to the soccer channel and the world-cup event. When a post is received, it is bound to a new model instance before it being added to the adapter. "Hello and welcome to live text commentary of the Group A match between Russia and Saudi Arabia at the 2018 World Cup in Russia. The scene is set for the tournament opener!" Next, run the application from Android Studio, then open the URL http://localhost:4000/posts in your browser and you should start receiving live updates in your app. In this post, you have learned how to build a blog app using Kotlin, Pusher Beams, and Pusher Channels. Feel free to fall back to the GitHub repository if you get stuck at any point. 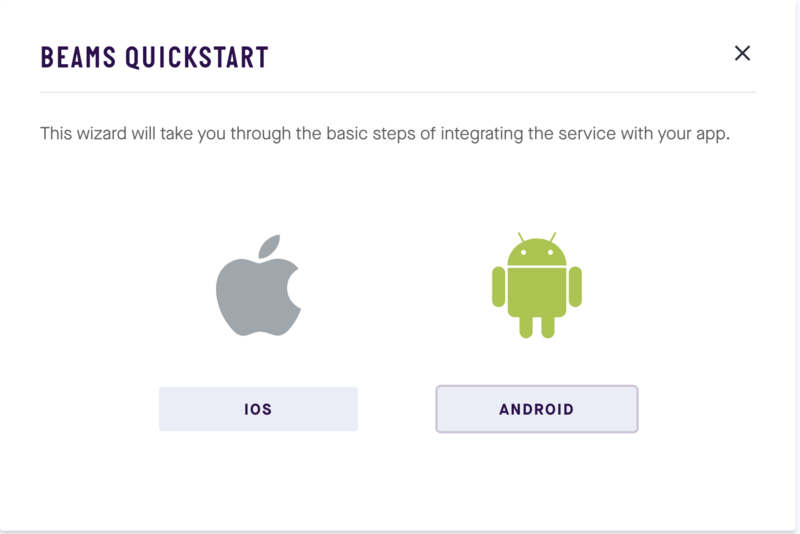 I can’t wait to see what you will build with your knowledge of a realtime service like Pusher.